The gleaming skyscrapers of the city’s financial district. Singapore is not just one island but a main island with over 60 surrounding islets. The main island has a total land area of about 263 square miles (about the size of Rhode Island). Singapore has no significant natural resources other than its deep water harbor, but it does have a good geographical location with a developed infrastructure, an excellent communications system, political stability and a disciplined work force. The government is committed to free trade and will remain committed to a free international trading system. In fact, Singapore's economic survival is very much dependent on an open and predictable international environment that ensures stable conditions of market access. During the 14th century, this small but strategically located island earned a new name. 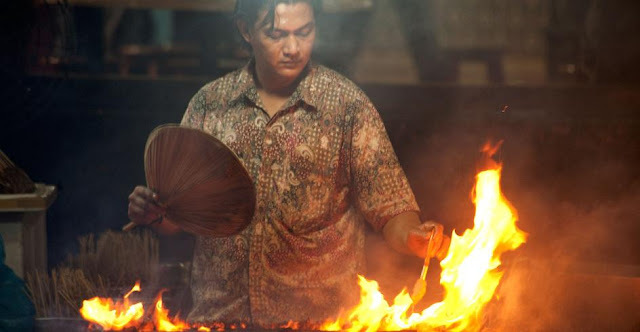 According to the legend, Sang Nila Utama, a Prince from Palembang (the capital of Srivijaya), was out on a hunting trip when he caught sight of an animal he had never seen before. Taking it to be a good sign, he founded a city where the animal had been spotted, naming it “The Lion City” or Singapura, from the Sanskrit words “simha” (lion) and “pura” (city). At this time, the city was then ruled by the five kings of ancient Singapura. Located at the tip of the Malay Peninsula, the natural meeting point of sea routes, the city served as a flourishing trading post for a wide variety of sea crafts, from Chinese junks, Indian vessels, Arab dhows and Portuguese battleships to Buginese schooners. The next important period in the history of Singapore was during the 18th century, when modern Singapore was founded. At this time, Singapore was already an up and coming trading post along the Malacca Straits, and Britain realised the need for a port of call in the region. British traders needed a strategic venue to refresh and protect the merchant fleet of the growing empire, as well as forestall any advance made by the Dutch in the region. The then Lieutenant-Governor of Bencoolen (now Bengkulu) in Sumatra, Sir Thomas Stamford Raffles landed in Singapore on 29 January 1819, after a survey of the neighbouring islands. Recognising the immense potential of the swamp covered island, he helped negotiate a treaty with the local rulers, establishing Singapore as a trading station. Soon, the island’s policy of free trade attracted merchants from all over Asia and from as far away as the US and the Middle East. In 1832, Singapore became the centre of government for the Straits Settlements of Penang, Malacca and Singapore. With the opening of the Suez Canal in 1869 and the advent of the telegraph and steamship, Singapore's importance as a centre of the expanding trade between the East and West increased tremendously. By 1860, the thriving country had a population that had grown from a mere 150 in 1819 to 80,792, comprising mainly Chinese, Indians and Malays. But the peace and prosperity of the country suffered a major blow during World War II, when it was attacked by the Japanese aircrafts on 8 December 1941. Once regarded as an impregnable fortress, Singapore fell under the Japanese invasion on 15 February 1942. It remained occupied by the Japanese for the next three and half years, a time marked by great oppression and an immense loss of lives. When the Japanese surrendered in 1945, the island was handed over to the British Military Administration, which remained in power until the dissolve of the Straits Settlement comprising Penang, Melaka and Singapore. In March 1946, Singapore became a Crown Colony. In 1959, the growth of nationalism led to self-government, and the country’s first general election. The People’s Action Party (PAP) won a majority of 43 seats and Lee Kuan Yew became the first prime minister of Singapore. In 1961, Singapore joined Malaya and merged with the Federation of Malaya, Sarawak and North Borneo to form Malaysia in 1963. However, the merger proved unsuccessful, and less than two years later on 9 August 1965, Singapore left Malaysia to become an independent and sovereign democratic nation. On 22 December that year, Singapore finally became an independent republic. Today, you can experience Singapore’s rich historical heritage by visiting many of the national monuments, museums and memorials located around the city. On your trip here, remember to take a walk along one of the many heritage trails or visit the well-known landmarks for a complete Singapore journey. Singapore River: It is an exciting tourist attraction in Singapore that should not be missed. 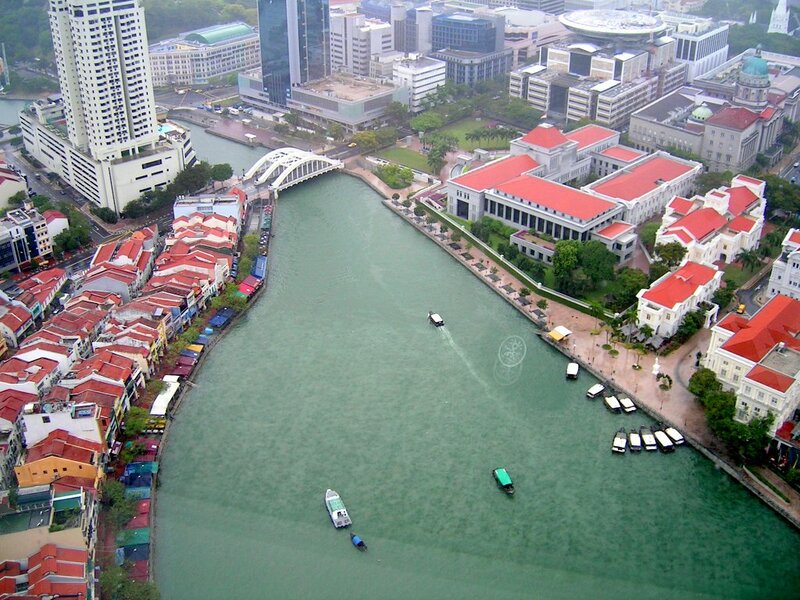 The Singapore River is the best way explore and experience Singapore. You can take a stroll along the river bank or leisurely cruise on a boat to explore Clarke Quay, Boat Quay, temples and other important landmarks of Singapore. 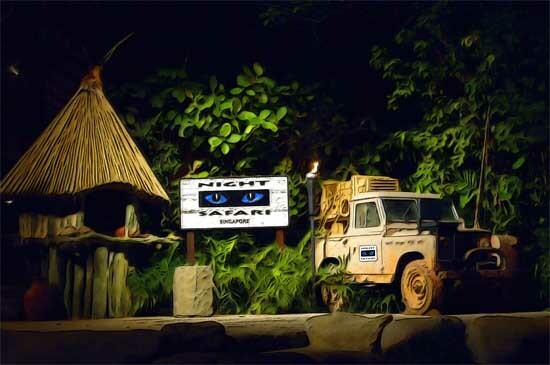 Night Safari: Spread over about 40 hectares and divided into East and West Loops, the wildlife park that offers Night Safari is home to about 1,000 animals from 100 species. Animals here are ninety percent awake at night. During the day, almost all of wildlife would sleep or appear extremely sleepy. As a result, you can go watching them at night and see what do they do for routine activities. 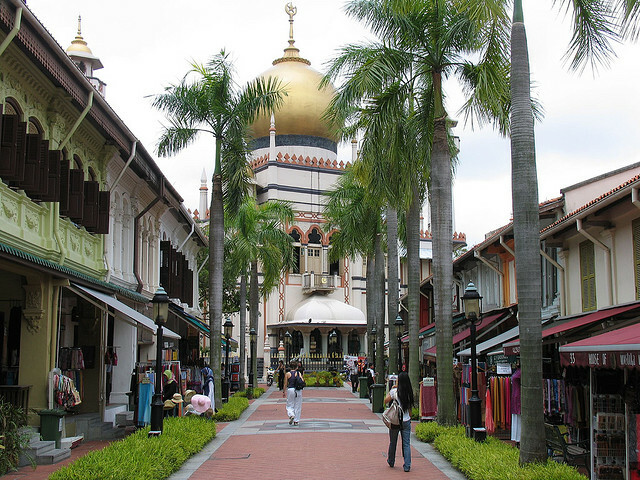 Arab St: The grand Sultan Mosque is located here, which is the largest mosque in Singapore. There is another mosque— Malabar Muslim Jamaath Mosque—which is well known for its beauty and grace. 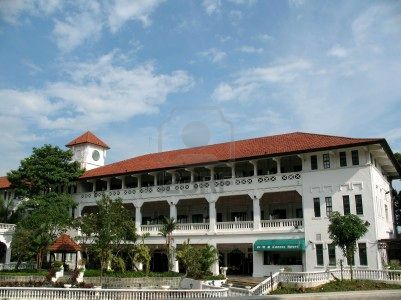 Colonial Singapore: Colonial House in Singapore represents the heritage of Sir Stanford Raffles as a well-organized city in Singapore. 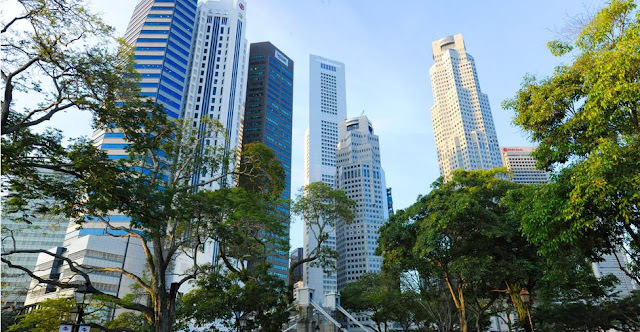 There are various interesting places in Colonial Singapore, which include the Empress Place, the Padang, the Esplanade, Bugis Street, City Center, Fort Canning, and Marina Center. 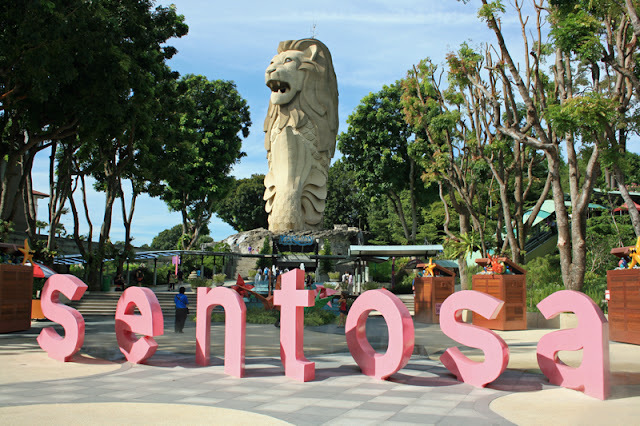 Sentosa Island: Sentosa Island is considered Singapore attractions which are mostly visited, especially on weekends. The place is marked by grand resort for full-recreation activities consisted of swimming lagoons, wax museums, butterfly parks, two beaches, several golf courses, musical fountains, and an underwater world. Singapore Zoo: It is one of the most exciting attractions in Singapore. The zoo's settings have been rated most beautiful in the world. The zoo is located on a promontory beset by still waters of the Seletar Reservoir, with the dense secondary forest beyond creating a breathtaking backdrop. 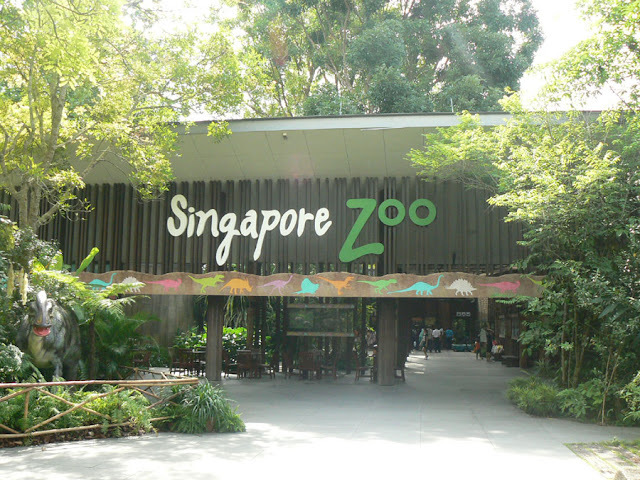 The jaded, lush garden of the Singapore Zoo, together with the lovely landscaping, spectacular views of the Seletar Reservoir make the Singapore Zoo the most tempting place to visit. 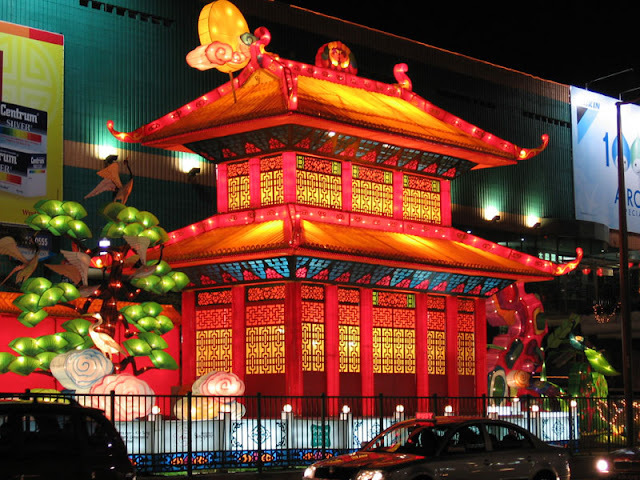 Chinatown: This is the area that reminds of the by gone days through its old temples, and decorated terraces. In the crowded streets of Chinatown, you may find fortunetellers, temple worshipers and calligraphers, all adding to fun and frolic. Little India: This modest but colorful area of Little India is a relief from the prim modernity of many parts of the city. 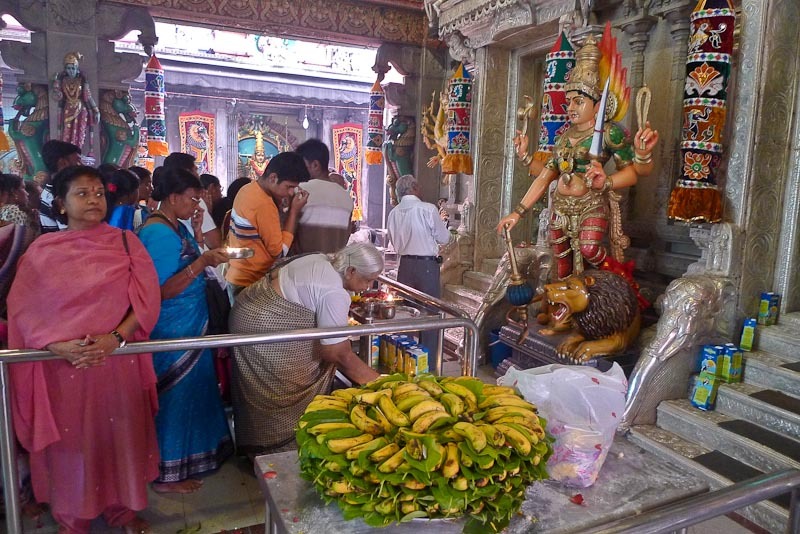 Centered around the southern end of Serangoon Road, this is the place to come to pick up that framed print of a Hindu god you have always wanted, eat great vegetarian food and watch street side cooks fry chapattis. 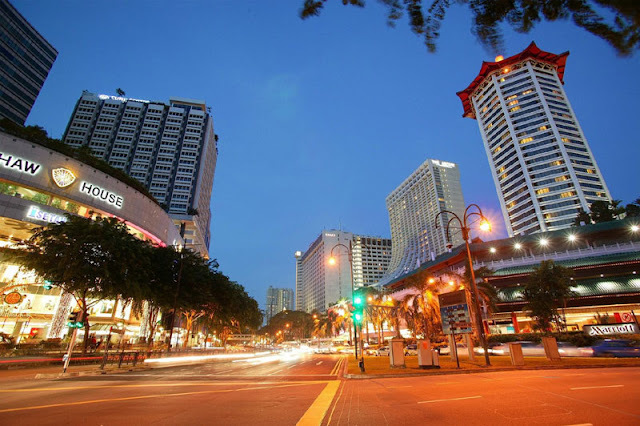 Orchard Road: Shopping centers, hotels, nightspots, restaurants, bars and lounges. This is the action (shopping and entertainment) center in Singapore. The Orchard Road is the symbol of Singapore’s modernity and material delight. 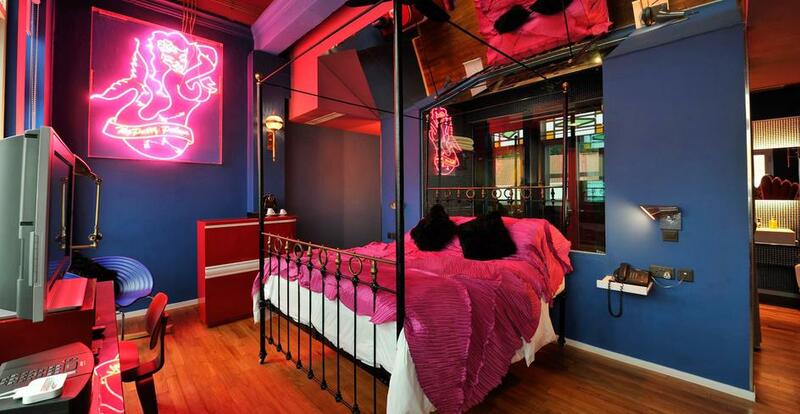 Located on a quiet street in the Chinatown district, the beautiful New Majestic Hotel has 30 rooms, each individually designed by emerging Singaporean artists. 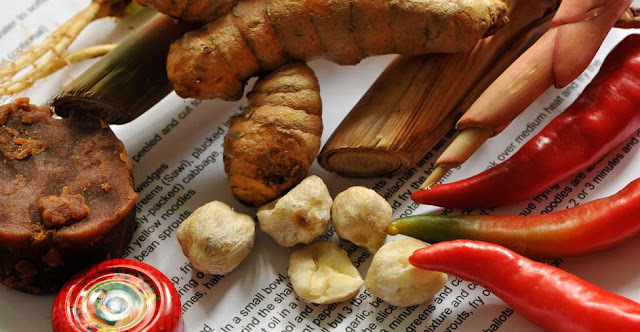 A myriad of spices infuse Singaporean cuisine. The city’s hawker centres offer an incredible array of food.